As part of our Better Betting Campaign we recently interviewed the Chair of the Horseracing Bettors Forum (HBF), Simon Rowlands to find out his organisations take on some of the key issues confronting punters. Chief amongst these is the issue of betting restrictions and closures, which is the topic HBF receives the most communication about. To understand HBF’s position and work thus far on this and other issues relevant to our Campaign, we posed a number of questions to Simon Rowlands who was kind enough to answer them all in detail. Below you can find the full interview, which can also be found in the FREE ‘Getting On’ Report available via the Better Betting Campaign page. The HBF is a voluntary body setup in 2015 by the British Horseracing Authority (BHA) by its chief executive, Nick Rust to represent the interests of those who bet on the sport. You can read more about HBF at http://ukhbf.org/ including the results of their own restrictions and closures survey from earlier in 2016. SBC: Can you summarise HBF’s current position as per bookmaker restrictions/closures and your recent survey findings? Simon Rowlands: HBF has heightened awareness of this issue, which is the subject above all others that the betting public has been in contact about, through our survey/website and through the media, including during an interview on Racing UK on 7 September 2016 which can be seen here [http://www.racinguk.com/video/watch/simon-rowlands-on-betting-restrictions]. In addition, it wrote to the CEOs of around a dozen leading bookmakers, sharing concerns and inviting those individuals to engage with us about this matter, though the response was mixed. HBF understands the commercial imperatives driving bookmaker activity in this area but believes that the reality is that many bettors, who are also customers or potential customers of horseracing itself, are being turned off betting on the sport by trading policies which are unsophisticated and customer-service experiences which are unsatisfactory. It is important that betting on horseracing is seen as aspirational and distinct from games of blind chance: skill and discipline should make it possible for a bettor to succeed, or at least to get by, even if the majority of punters will undoubtedly be losers, for that is what drives many of us on. HBF hopes to have face-to-face discussions with the UK Gambling Commission seeking justification for that body’s stance of non-interference in this area. SBC: How concerned are you about the impact of account restrictions and closures on horse racing as the results of your own survey (as ours) indicates it is driving people away from the sport? Simon: Concerned. It is not just the experiences of those individuals directly affected (which bookmakers claim are few in number) but the perception of betting on horseracing as being a “winners not welcome” game these days which is potentially very harmful. The funding of the sport is threatened by such a scenario. SBC: The BHA chairman Nick Rust, who set up the HBF, is on record as stating he wants to see a 5% increase in those betting on racing. Are the powers that be at the BHA aware of this issue and are they not concerned as to the wider impact it is having in terms of racing interest? Simon: He/they are aware of this issue, though HBF felt it had to emphasise the gravity of the situation. BHA has a lot on its plate in dealing with Authorised Betting Partner strategy and securing funding through means other than the Levy, and it would be understandable if it does not currently wish to tackle this. But BHA has not in any way been obstructive to HBF and our desire to shine light on this matter. SBC: Do you feel there is a genuine appetite for change amongst the bookmaking fraternity to actually take more bets from all punters? If so, why have we yet to see any evidence of this aside from Corals recent shop-only offers? Simon: Not widely, but in a few areas. HBF has emphasised that there may be an opportunity for enterprising bookmakers to cater for a disenfranchised section of the betting public, and Coral/Black Type have made welcome moves. Unfortunately, bookmakers have been pandered to for decades and many of them believe racing needs them more than they need racing (it is possible they are now right, but things should not have got to this stage). SBC: What do you understand to be the roadblocks to change preventing bookmakers from taking more bets? Simon: Some of them refusing to engage with a body (HBF) representing their customers. A betting landscape in which bookmakers are tempted to use racing as a loss-leader for cheaper/easier ways of extracting money from its customers. A body (UKGC) which has, at least until recently, had a remarkably laissez-faire attitude towards requiring bookmakers to act in a certain way. Successive governments which have failed to see the harmful consequences of FOBTs etc and what should be a clear distinction between them and the game of skill that betting on horseracing can be. SBC: In your recent statement following the release of your survey, you made it clear that only a few bookmakers were co-operating with you on this issue. Are you able to provide details as to who is co-operating and how they are helping? Simon: Not fully at this stage. A CEO of a leading bookmaker attended part of our June meeting, pledged to improve trading practises and, particularly, customer communication, and we hope to have him back in December to see how things have progressed. Unfortunately, the reality is that these things take time and organisation, and HBF (voluntary, unpaid) also has other claims on that. But we are in this for the long haul. SBC: Are you able to list those bookmakers that are not co-operating? What reasons (if any) have they given for not wishing to discuss it? Simon: Not yet, but we may do. Ideally, we would give them another chance to respond, but that has not been easy to arrange in the time and with the resources available. SBC: What proposals to enable punters to get their bets on are you discussing with bookmakers and which of these appear most likely (if any) to be realistic options? Simon Rowlands post on the Betfair Forum lists a range of ideas such as offering a ‘no-frills’ service through to agreements to meet a certain liability on any bet as Coral now offer, but which of these are viable ideas? Simon: The no-frills service is essentially what Black Type is adopting (we have little knowledge of their operation otherwise but have received favourable reports on this score to date). Coral have essentially chosen to honour an obligation, albeit only in shops, which is also to be welcomed. In addition, we have recommended a “right to review” rather than people summarily having their accounts closed/restricted and its being clearer to customers when opening accounts what activity may prompt censure. SBC: What are your thoughts on implementing a model similar to that seen in New South Wales, Australia whereby bookmakers have to lay all punters a set amount. Do you feel this model would work in the UK? Simon: We think it would require legislation (unless most/all bookies miraculously got behind the concept) and be difficult to achieve but that that is no reason not to try. UK Gambling Commission does not see it as their place to “interfere” in this area, but has indicated it would talk to those representing customers, which we see as us. We have issued an invite for the UKGC to attend our December meeting to discuss this and other matters. SBC: Upon creating the HBF, Nick Rust promised that you ‘will affect policy’ at the BHA. What evidence do you have on this so far and what powers if any do the HBF have to take action on the issue of restrictions/closures? Simon: We have influenced BHA policy less than we might wish in our first year, but that has been in part down to considerable other claims on BHA time (Lohn, Levy, ABP etc), as well as our own. The silver lining is that we have managed to assert our independence from BHA more than might otherwise have been the case, and that is positive. Account restrictions/closures is just one of several things HBF is tackling. Data provision, Non-Runners, the starting-price process and the discredited body which oversees that, establishing a website, engaging with influencers (I have written five times to Alex Salmond without a single reply, which all takes time). HBF has no statutory powers, in this or in other areas. That was made very clear at the outset, and yet some in the public have chosen to ignore that and vilify the body for failing to change things by fiat. Heightening awareness, lobbying those who can affect change, establishing evidence that may influence decision-makers, and, occasionally, calling out those who do not shape up is all that we can realistically do. But that is proving worthwhile, or should prove worthwhile ultimately. SBC: Ultimately many punters are pinning their hopes that the HBF might finally be able to help force through change on this issue. How confident are you that a solution can be found? Simon: HBF takes this matter very seriously, but does not have the powers to force change. I would not be confident that a widespread solution will be found when no-one is obliging bookmakers to act in a certain way or even to engage with those representing its customers. But HBF can certainly make a meaningful contribution to the debate, and feels it already has. But, I must emphasise, account restrictions/closures is just one of the areas in which HBF is active. It must not, and will not, simply become a one-issue organisation. In recent weeks it, or some of the individuals on it, has/have been asked for feedback about Non-runners, race-day data, accuracy of going descriptions and much more besides. That is over and above more clearly betting-related matters. SBC: There has been lots of debate about the usage of ‘tracking software’ such as IEsnare – whereby bookmakers are allegedly tracking and logging the activity of those betting with them without permission. What is HBF’s stance on them? Simon: HBF is very concerned that tracking software may be being used in a manner that is, at the least, unethical and has drawn that to the attention of the UK Gambling Commission. Establishing the facts is proving difficult, but HBF is active in this area. It is one of the main things we wish to talk to UKGC about in person. This may, or may not be, less important than tackling account restrictions/closures but it is certainly important. SBC: What impact if any do you feel FOBT machines and other similar machines now so prevalent in all bookmaker shops have had on this issue? Many commentators feel that until sensible limits are placed on both the number of FOBTs and stakes that can be risked (and thus the huge sums of profit they generate), many bookmakers will have only a limited interest in Horse Racing. Does HBF have a position on this? Simon: HBF does not have a formal position on FOBTs, mostly because it has been busy establishing its position on other matters, but I personally agree with the implication of your above remarks and feel confident I reflect the general feeling of HBF. As stated earlier, horseracing should be seen as very distinct from such mindless games of pure chance. British racing’s support of FOBTs under Rust’s predecessor Paul Bittar was nothing short of a disgrace, in my opinion. I am surprised no-one has demanded BHA clarifies its position in this area now, but everything about Nick Rust’s stewardship indicates to HBF that he understands the implications in this area, as you would expect of someone with his background. We are encouraged. 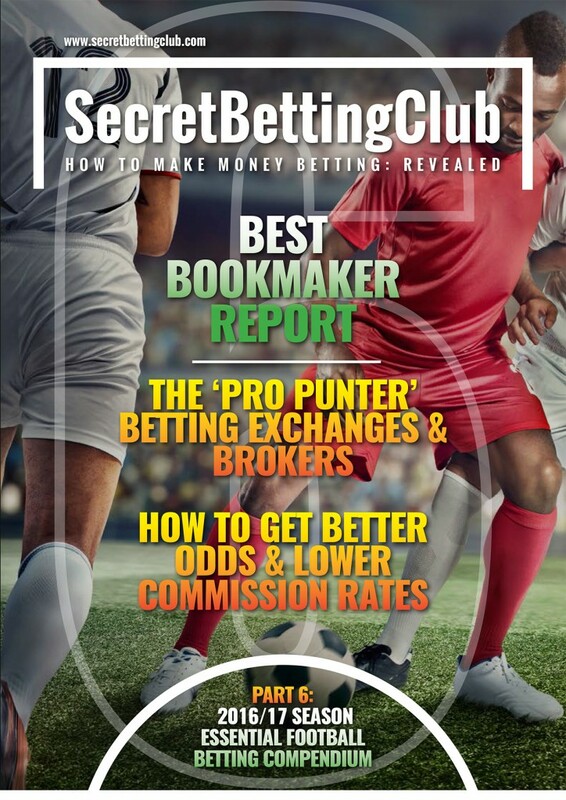 This and a series of other interviews with betting industry experts and professional punters can be found in the Free ‘Getting On’ Report we have just released as part of our Better Betting Campaign. It’s freely available to distribute and can also be accessed via the Better Betting Campaign webpage. 3. The steady increase in bet disputes by bookmakers acting without proper regulation. This Campaign has been developed as a central resource to drive awareness of the issue, educate punters as to how they can take action and provide practical advice on how they can get their bets on. Yesterday saw the launch of SBC’s Better Betting Campaign, which is demanding action and raising awareness on 3 key issues impacting many punters. Its launch is part of our fight back against unfair bookmaking because as many as you outlined in our recent survey on bookmakers, the restrictions they often place upon your betting accounts is reaching critical levels. To help illustrate the depth of the problem especially for the sport of Horse Racing, I wanted to highlight some of the key findings from our survey in today’s email including the bookmaker that closed 53.6% of all accounts! Between July and August this year, we invited as many of you as possible to fill in our Bookmaker Survey – and 611 of you took the plunge and shared your experiences with us. In total it encompassed your experience of 6575 betting accounts from 17 different bookmakers and so produced some comprehensive results. The findings from this question were stark with as many as 21.22% of all accounts closed and a further 33.46% heavily restricted. Combining both answers, this equates to 3595 or 55.68% of all accounts which are either fully closed or heavily restrictions. On the flipside, only 29.22% (1921) accounts were not restricted – just under 3 out of 10 punters are now able to bet without issue. Which Bookies Closed You Down The Most? Drilling further into this answer, we also were able to identify both the best and worst bookmakers for closing your accounts. In terms of closing accounts, Stan James lead the way with 53.6% of all accounts held with them shut down. Both Victor Chandler and Boylesports are not far behind with 43.4% and 42.5% respectively. Questions need to be asked as to why Stan James, Victor Chandler and Boylesports are closing down so many betting accounts? Is it right for example that Stan James had closed down more than 1 in every 2 customers that took our survey? Looking at the other end of this table, the ‘Best’ bookmakers were led by Betfair Sportsbook (7.8%), Marathon Bet (8.8%), 32Red (9%) and Bet365 (9.9%). It is notable however the survey indicated that ALL 17 bookmakers do close accounts – suggesting it is a clear policy for every major firm and an industry wide problem. Which Sports Get Your Bets Closed & Restricted? We also wanted to find out which sports you experience the most restrictions on – because the long held suspicion is that this issue impacts Horse Racing bettors more than with other sports. To find out the answer, we posed the following question: “Which sports have you experienced the most problems as per restricted and closed accounts? We listed 10 sports or markets as follows: Horse Racing, Football, US Sports, Cricket, Rugby, Tennis, Motorsport, Politics, Darts & Golf. The most startling results came when we combined the numbers of you either closed or heavily restricted (i.e. You can only get a small percentage of your desired stake on) where a whopping 78.1% of all Horse Racing punters were impacted. Comparing that to its nearest rival – Football at 29.6% and the majority of others which range from 13% to 22% it must be a major concern for the Horse Racing authorities. Why are bookmakers closing down and restricting the stakes of so many customers? What do the British Horseracing Authority think to this issue and are they concerned about its impact on interest levels in Horse Racing? What role do the Gambling Commission play in ensuring bookmakers play fair? Why are no bookmakers willing to discuss this issue honestly and be clear from the outset that punters run the risk of being banned? The hope is that through this campaign, we can get a step closer to finding some answers to some of these questions and demanding action is taken by the authorities. If you are keen to find out more than you can read the full survey findings in our FREE ‘Getting On’ Report – which is dedicated to helping you understand some of the key issues at stake. The report is freely available to distribute and can also be accessed via The Better Betting Campaign webpage itself. 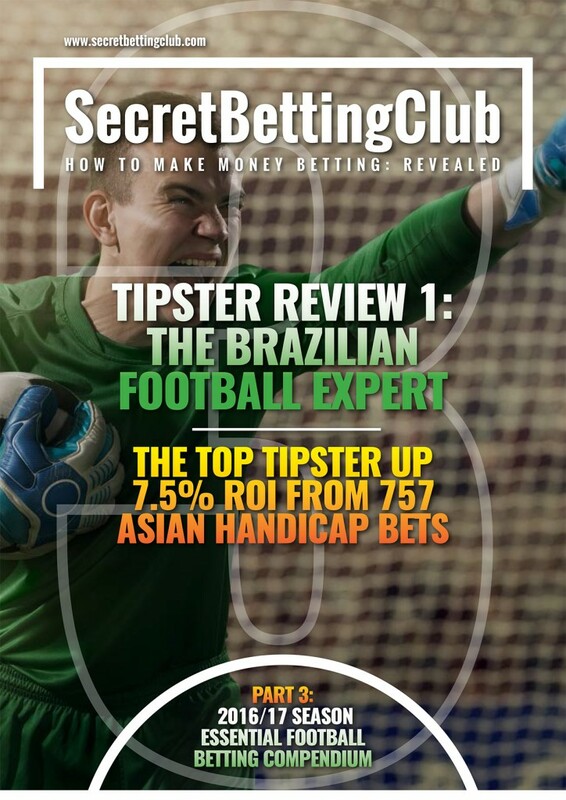 Inside it you can also read a series of interviews from various professional gamblers on their own solutions and suggestions for getting your bets on. So if you have been impacted by betting restrictions – all is not lost! Take Action: Inside the Getting On Report, you can find advice on how you can demand action from your MP and an investigation into bookmaker restrictions and closures. The more people that write to their MP the better!You can also discover how you can complain to the Information Commissioners Office about the usage of hidden bookmaker tracking software and demand they investigate further. Discuss on Social Media: You can use the hashtag #betterbetting to raise awareness, share the Campaign links and keep the conversation flowing. The Smart Betting Club Twitter account is @sbcinfo – feel free to copy us in! Share The Campaign: Invite others to visit the Better Betting Campaign website and read our report! Post on Facebook, send emails, tell your friends and family…whatever you need to do.The Getting On Report is free to download and distribute – we want as many people to read it as possible as these issues impact thousands and thousands of punters. We have set-up this campaign in response to the huge increase in problems that punters are suffering at the hands of bookmakers. Their refusal to play fair and its impact on some sports such as Horse Racing has reached critical levels and it’s time for action. The Better Betting Campaign has been developed as a central resource to drive awareness of the issue, educate punters as to how they can take action and provide practical advice on how they can get their bets on. As one of the few bookmaker-independent outlets, this also enables us to speak the truth about the betting industry and to represent the people that matter most to us – you the punter. 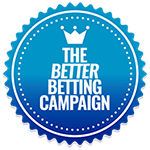 The Better Betting Campaign has been setup to expose the depth of these issues and provide tangible practical advice on what you can do to demand action and fight back against unfair bookmaking. We are inviting everyone impacted by these issues to download our FREE ‘Getting On’ Report – which is dedicated to helping you understand some of the key issues at stake. 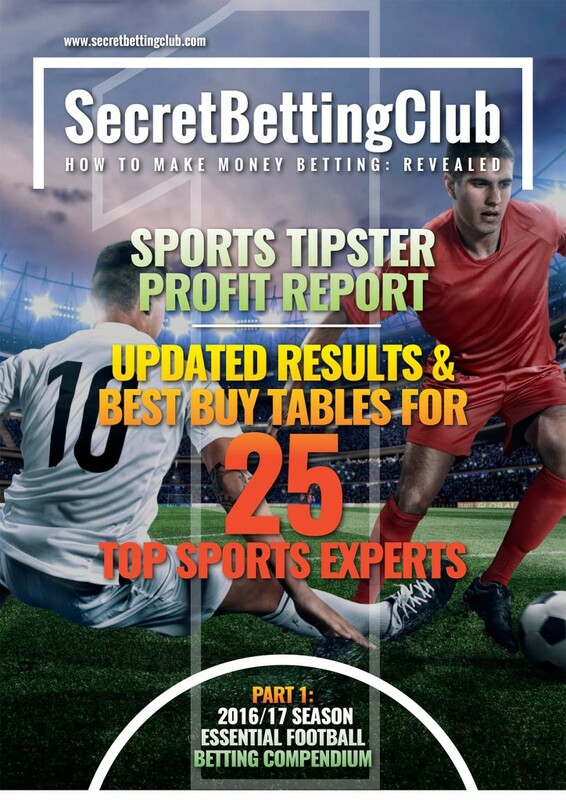 It’s a FREE 55-page report featuring expert articles and guidance – including the results of our account restrictions survey on the worst bookmakers and interviews with the likes of Simon Rowlands, Paul Fairhead and several professional gamblers. 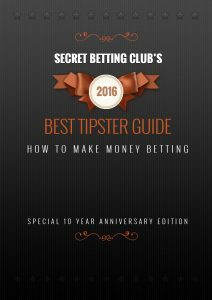 Available in PDF format – you can download it now via the Better Betting Campaign Webpage. Discuss on Social Media: You can use the hashtag #betterbetting to raise awareness, share the Campaign links and keep the conversation flowing. The Smart Betting Club Twitter account is @sbcinfo – feel free to copy us in on your tweets! Share The Campaign: Invite others to visit the Better Betting Campaign website and read our report! Post on facebook, send emails, tell your friends and family…whatever you need to do to get the message out there.The Getting On Report is free to download and distribute – we want as many people to read it as possible as these issues impact thousands and thousands of punters. If you are looking for some top quality racing tipsters to follow – then you must check out the 2 latest additions to the Smart Betting Club’s Tipping Forum, both of whom are now exclusively sharing their tips FREE. First of all, Hall of Fame award winner, James Boyle has agreed to share ALL of his tips for free until he makes 25 points profit from his advice as part of a quest to showcase his undoubted ability. James comes with an outstanding record, having made 408 points profit at 19.8% ROI from his big race tips since 2011. 2) You can also sign-up to exclusive mailing lists to receive their tips direct to your email address. 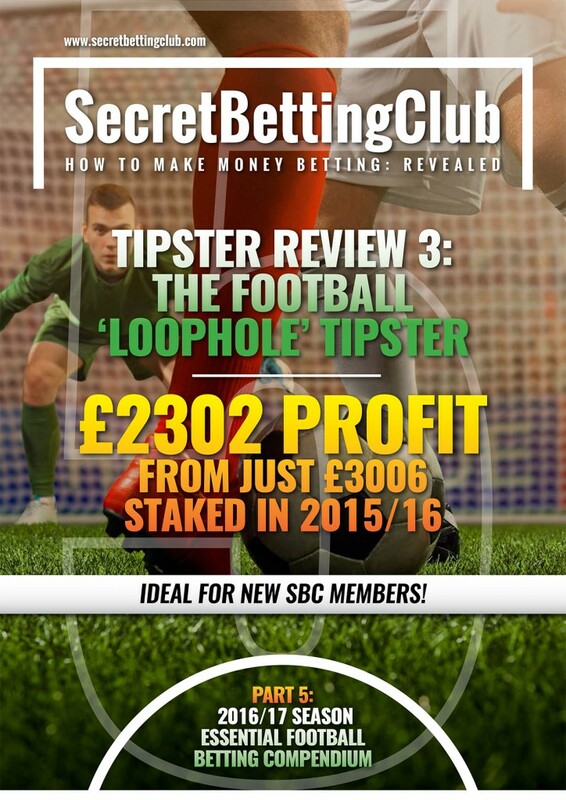 The fantastic news is that alongside Chris and James, you can also follow 2 more top tipsters via the SBC Tipping Forum and email, both of whom have excellent records and have been making profits for sometime. Since May, the Chasemaster racing guys have been supplying all of their advice for free and during this time have made 21 points profit from 81 bets an a ROI of 19.81%. This is no flash in the pan as over the past 12 months they have made a total of 128.1 points profit from 286 bets at a ROI of 35.14%!! Also – SBC member ‘Paceman’ has been supplying all of his Favourite tips for some time, whereby he focuses on horses at the front of the market. From 291 tips he has picked up a level stake profit of 43.79 points at a ROI of 15%. Who says you can’t make a profit backing favourites!!? 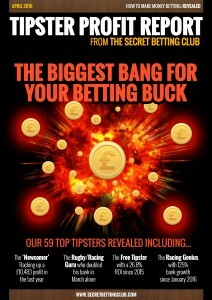 All 4 of the tipsters mentioned above are now available to follow each day as part of a Smart Betting Club membership. This provides you with access to our members-only Tipping Forum where you can pick up all the tips as they are posted. You also gain full access to our Free Tipping Section whereby you can sign-up to receive their tips via email if you so wish. Best of all, you can now sign-up totally risk-free thanks to our 90-day money back guarantee, which ensures if you find our service (and these free tipsters) not for you, then you can get a full refund. Meaning you have everything to gain and nothing to lose from joining our exclusive club. If you like reading about betting success stories, then you must check out the bet below whereby one punter (and SBC member) took Paddy Power for £5229.20…And all from a simple £80 Trixie! Of course – highlighting big winners is all well and good but how exactly did he pick out these bets? And more importantly – how could you potentially do the same? He is referring here to our Racing Profit Maximiser and Magic of Multiples Reports – both of which are available now to all Smart Betting Club members. Firstly – The Racing Profit Maximiser outlines a simple strategy that can help you focus on the best, most effective bets. Enabling you to bet less and make more. 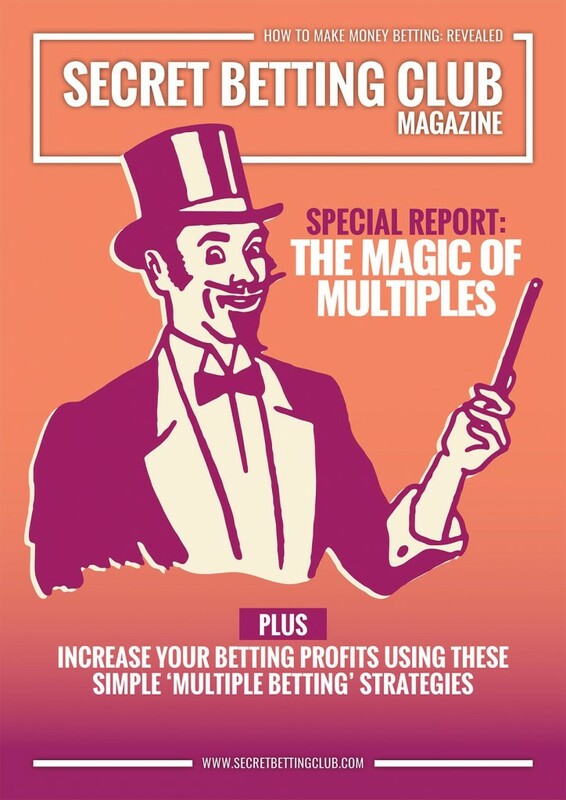 Secondly – The Magic of Multiples Report showcases how you can increase your profits by utilising some very effective multiple betting strategies. Combine the two and you have an excellent strategy to identify the best bets and them combine them into multiples that potentially can reap huge rewards. It is also worth pointing out that this success is no flash in the pan – as proven by the punter up 46.5k from his own multiple betting I discussed a few weeks back. You can read about him here. The theory behind successful multiple betting. How betting in multiples can keep you under the bookies’ radar. The best multiple bet strategies to follow (how and why they work). • How to easily identify the most profitable racing tips using the RPM Strategy. • Discover how this strategy turned a 11.9% ROI into 22.9% (11% increase). • Understand how you can use it to make a profit betting at Betfair SP. You can gain instant access to both the Magic of Multiples & Racing Profits Maximiser Reports with a Smart Betting Club Membership. In our recently released 2016/17 Essential Football Compendium we ran investigations into 4 different betting exchanges and brokers that we felt could offer better value odds for punters looking to improve their betting. One of the services we investigated was Matchbook, who at the end of July added UK and Irish racing win betting markets to their exchange, which in an age of bookmaker restrictions was a very welcome move indeed. Since launch, their racing markets have gone from strength to strength with increasing amounts of money traded and most crucially of all – a lower commission charge than exchange kingpin and main rivals Betfair. After observing their racing markets for sometime, it has become obvious that Matchbook represents a genuine option for shrewd racing punters – especially those looking to squeeze more value out of their bets. After all, if you can add an extra 2 to 3% to your overall betting – that has to be worth it right? To help illustrate how Matchbook’s odds stack up in comparison, yesterday afternoon I ran a simple exercise by pitting Matchbook’s odds up against their main rivals Betfair and a group of racing bookmakers (Consisting of Bet365, Bet Victor, Paddy Power, Ladbrokes, William Hill, Coral, Betfair Sportsbook & Totesport). I took the odds just before the off on the front 5 in the market from each group – deducting 1.15% commission on Matchbook’s odds and 5% on Betfair. In each of these 3 races, Matchbook offered strong value odds especially when taking commission into consideration. Take for example, Ocean Eleven in the 2.40 race at Epsom as both Betfair and Matchbook offered odds of 11.5, yet after commission, you would have got the equivalent of 11.33 at Matchbook and 10.93 at Betfair (the difference between 1.15% and 5% commission). Betfair’s commission rate does go down the more you bet with them (although you have to bet a lot to get it down beyond 4%) and Matchbook take 1.15% on all bets, yet still the differences can often be vast. Its no exaggeration to suggest that simply using Matchbook can at times add 2-3% extra to your betting profits. It’s not to say you should ditch Betfair as at times they still offer value and markets Matchbook do not as yet, but if betting on a horse to win – you should consider Matchbook. I also recently interviewed Matchbook to understand more about how they work, their plans for the future and just why punters might consider betting with them. Originally published in Part 6 of our Essential Football Compendium, I have copied the interview in full below for you all to enjoy. SBC: First off – for those unfamiliar with you, can you explain in general a little bit about Matchbook, the markets you offer and why punters are choosing to use your service? Matchbook: Matchbook are the fastest growing betting exchange in the world, with deep liquidity and best prices across a huge array of popular markets, particularly in Soccer and US Sports (NBA, NHL, NFL, MLB). For anybody in the market for the most competitive prices and lowest commission, you need look no further than Matchbook. Our standard commission rate is 1% but we’re constantly offering lengthy promotions of 0% Commission offers. This year we’ve ran 0% on the ICC Cricket World Cup, In-Play MLB and most recently on Horse Racing to celebrate the launch of the product on Matchbook. Our own research indicates that the football odds on offer from Matchbook are some of the most competitive out there – better than some Asian firms. How have these markets grown in the past 12 months? Matchbook’s aim is to be as competitive as possible on the markets we offer, Soccer 1x2s and Asian Spreads/Totals are our bread and butter. But with an increase in the amount of markets offered both pre-game and in-play coupled with our low commission and highly competitive odds we have attracted more market makers organically and are building a huge liquidity pool. In terms of liquidity and money traded – how has that increased of late? Overall money traded has increased by over 20% to £3bn for the first 5 months of the year. Football has increased by over 31% to £1.3bn and the Champions League final this year was up over 50% with £31m being traded across all markets. How about betting in-play on football, how is that faring? Our live offering is increasing constantly. With all major leagues now covered we will look to increase our live coverage by 2-3x from the start of September. We have seen a huge increase in users betting on in-play markets and making more events available to them is a key focus for us during the 2016/17 season. Racing fans will be delighted to see the introduction of UK and Irish horse racing markets. I know its early days but what has been the response and how is liquidity? It is early days for Horse Racing but that hasn’t stopped it being a huge success so far! Currently we’re offering all UK and Ireland meetings pre-race only and the first few weeks have shown us that it’s going to be a hugely popular addition for both existing users and new users. Our strategy to adding new sports/markets has always been to ensure that we are launching with one of the best products in the market and that patience is already proving to be correct with horse-racing. Recently we were one of the main betting sponsors for the Goodwood Festival and there was some great action on those markets. Do you have plans to expand the racing markets you offer? For example, place markets or each way betting? Certainly. We know that place markets and EW are hugely popular markets and the addition of lay betting adds an entirely different dimension to these bets so we’re working towards having those markets and many others offered very shortly. In-running markets are also important and that is something we are working on currently. Looking at some other markets, Cricket betting and trading is becoming more and more popular these days. What markets and competitions do you cover for this sport? We offer the following International cricket competitions: Test Series, One Day International’s, T2O Internationals. On top of this we offer the following domestic competitions: India-IPL, Australia- Big Bash League, South Africa – RAM Slam T20 challenge, Bangladesh – Bangladesh Premier League, UK – NatWest T20 Blast and Royal London One Day Cup, Pakistan – Super League, Caribbean – CPL. All the big International comps are covered also, World Cups, Tri series and the Ashes. The markets offered are: Match odds for test series and Moneyline markets for the rest as well as outright markets for the big competitions. The same can be said in terms of popularity for betting on political events – how much was traded on the EU referendum market and what type of markets do you offer here? There was 12.125m matched on the Brexit markets and as the course of the referendum day played out there was some huge swings in the market with the Remain result trading at 1.06 at one point. These types of markets are exactly what exchange trading is all about and some shrewd customers made significant profits trading the volatility throughout the entire campaign. The US presidential market is another hugely popular market on Matchbook and has already seen over £50m traded so far and even though we’re down to two candidates now, we expect there to be significant trading on that between now and the election. How about mobile betting – how can customers bet on the go with you? A whole host of new features have been added to the iPhone, Android and iPad apps since we last spoke as well as the addition of our Knowledge Base to the iPhone app, and we believe the suite of mobile products is one of the strongest in the industry. I have also been very impressed by the articles you have published this year via your ‘Knowledge Base’ – it seems you are one of the few companies in the betting industry keen to genuinely help educate punters to improve their betting and not just after ‘mug money’. Can you explain what you can find via the Knowledge Base and why you have chosen to offer this? Matchbook is a betting exchange, therefore the fundamental difference between us and a Sportsbook is that when you bet with us, you’re not betting against us. With that in mind, we thought it was time that bettors had an area where they could learn and expand their knowledge of betting while they were doing it. We want users to have the most positive experience they can on Matchbook and so when they win, we do too! Betting with an exchange gives many advantages over a traditional bookmaker but we’re also conscious that it can be daunting for some first time users. The Knowledge Base has articles to take that first time user through the basics, right up to helping the more advanced users to maximise their profits on the exchange. Last year also saw your very first Matchbook Traders Conference, which by all accounts was very well received. Will it be running again this year and if so, what can you reveal about its return? We were overwhelmed by the demand for last year’s event – it sold out in less than three weeks and pushed the venue’s capacity to its limits. Building on the success of last year, we’ve incorporated a lot of the feedback we received last year, to build an even better event. The 2nd Matchbook Traders Conference will feature fewer speakers, allowing for more time for Q&A, and be hosted at a venue where networking can be done away from the sessions, so to avoid any noise disruptions. There’s much more in store for the next Traders Conference and we’ll be making a full announcement in the coming weeks. Finally – what else can we expect to see from Matchbook in the future? Any exciting developments or plans you can reveal at this time? We’re always looking to improve our product and so you can certainly expect a whole host of new features. This time last year we had no Horse Racing or Knowledge Base, so lots can change in a year! 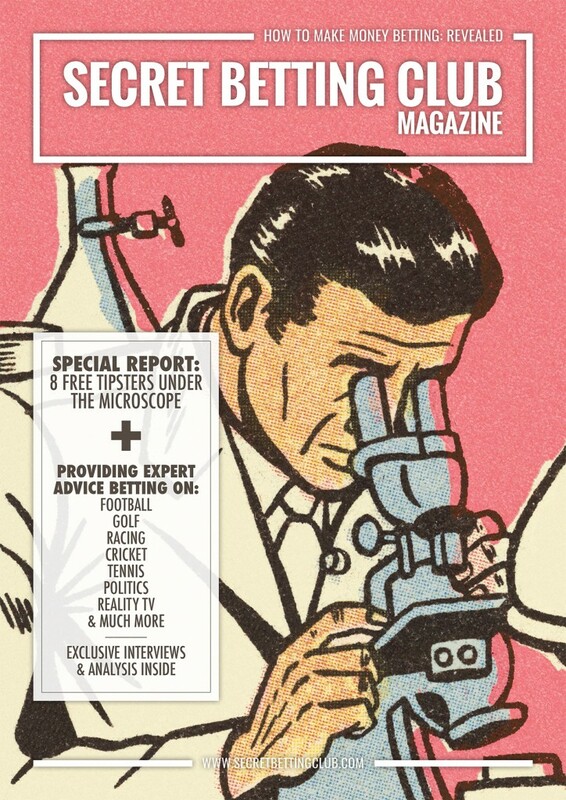 Keep an eye out for Cash Out, multiples, betting podcasts, and more informative and customised Knowledge Base material. One very effective way of improving your profits is the simple act of betting in the right place. Different exchanges and bookmakers offer value across different sports and markets and understanding where and when you need to bet can make a huge impact. All of which forms part of our remit here at the Smart Betting Club as we identify for our members just where they should bet and why. 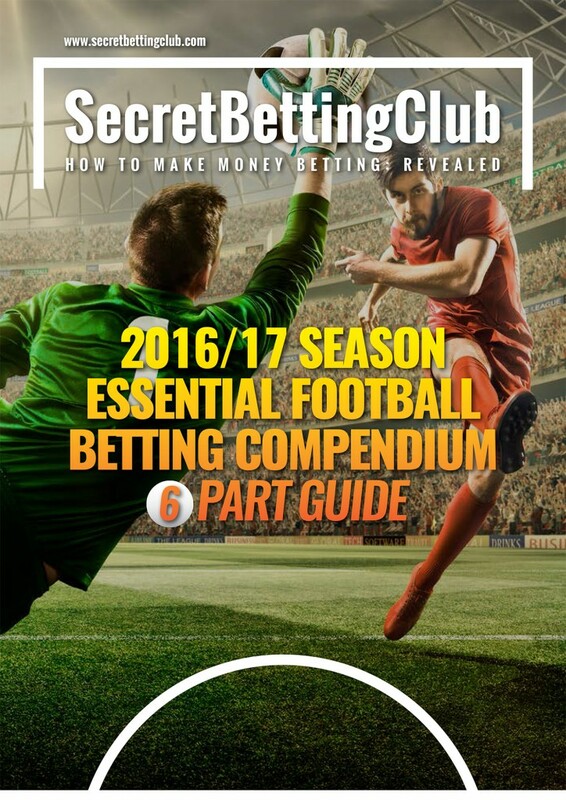 The above feature and interview with Matchbook is a short sample of what you can find in our recently released Essential Football Betting Compendium. In Part 6 of the Compendium, we also tackle 3 other ‘pro punter’ exchanges and brokers that you need to know about. 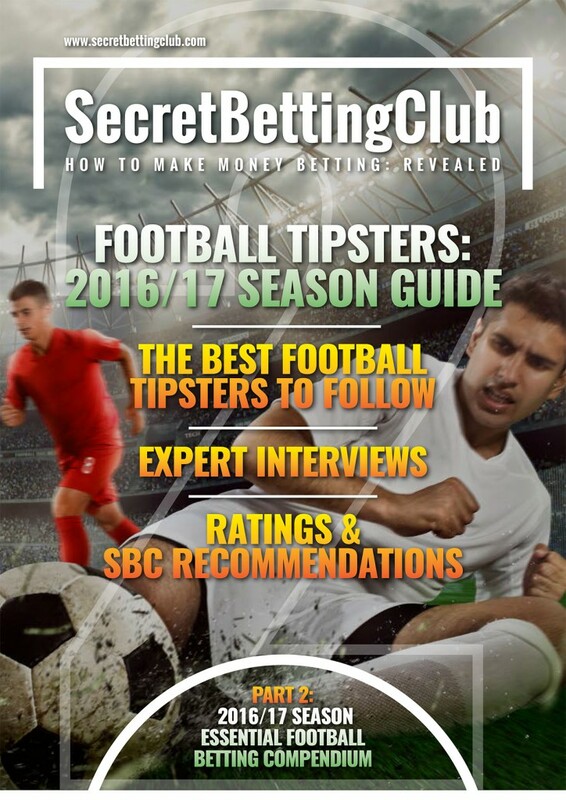 You access all of this in full the instant you subscribe to the Smart Betting Club. Last week we released our ground-breaking new report – the Racing Profit Maximiser, which judging by interest levels has caused quite a stir in the betting and tipster world! Several of you have been in touch with questions as to how exactly it can help your betting so to help clarify all of this, I have tackled some of the most common queries below. Download the Racing Profit Maximiser with a Smart Betting Club subscription. What is the Racing Profit Maximiser? The Racing Profit Maximiser (or RPM for short) is our examination of a simple strategy that can help you bet more efficiently on the best value horses. Enabling you to bet less and make more. Put very simply, the RPM strategy evaluates what happened when 2 or more high quality tipsters put forward the very same tip on any given day. The logic behind it all was simple – If 2 or more tipsters independently pick out the same horse as a bet, then it increases the value. You should then focus on or stake more on these ‘multiple’ tips. To find out if this theory was accurate – we built up a database of 52,177 tips as put forward by 21 of the best tipster services we have proofed from the past 3 years. 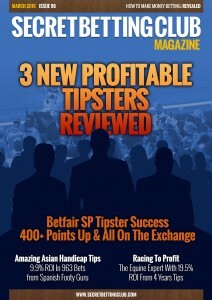 Each of these tipsters has a long-standing profitable record of picking out good value racing tips. We then isolated those bets put up by only 1 tipster and compared these results to the tips put up by 2 or more tipsters. The findings were stark with the ‘single tips’ making 11.9% ROI compared to 22.9% ROI for those which were ‘multiple’ tips. So simply by focusing in on these ‘multiple’ tips you could make much more profit from a lot fewer bets. Or as some punters prefer to do – simply by staking more on them. 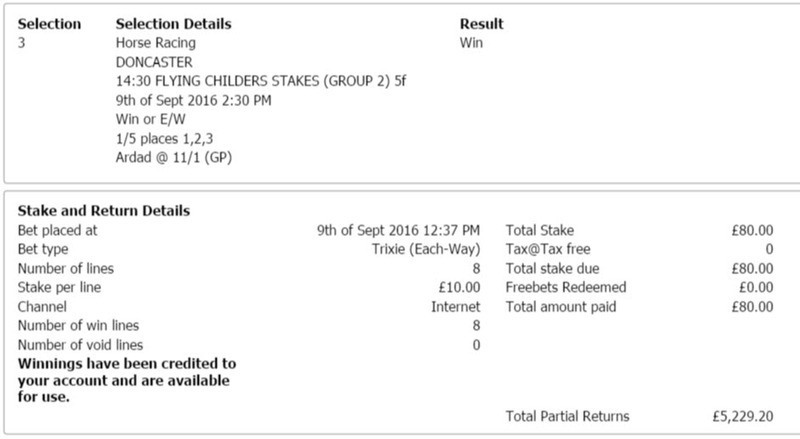 What happened when 2, 3 or 4 tipsters picked out the same horse…Did the profits increase? This all looks good – but what happens to the odds on a tip if 2 or more tipsters are giving it out, can you still make a profit if you take a lower price…even at Betfair SP? Getting value odds was a key part of the RPM strategy as after all – you won’t know a tip is a ‘multiple’ until the 2nd tipster has put it forward, by which time the odds might well have moved. Our findings revealed that whilst the 31.3% ROI on Maximum Odds might be unrealistic, you could still enjoy 22.6% at Average Odds and 14.2% at Minimum Odds. Most fascinating of all, at Betfair SP you would still have enjoyed a 5.6% ROI! Sounds great, but how can I follow this in practice – what tipsters should I use and how much might they cost? In the RPM we have put forward 6 pre-built ‘Tipster Portfolios’ for you to consider, each featuring a selection of top tipsters we proof and recommend. Portfolio 1 is an ideal option for those of you keen to keep costs down as it features either free or low-cost tipsters to make it as affordable as possible. Best of all though, the odds for this portfolio also showcase a very fine profit at Minimum Odds (10.9%) and Betfair SP (9.8% ROI) from 923 bets. Do I need to follow all 8 tipsters to make a profit? Not at all – you can simply select those you wish to use – those that are suitable to your betting preferences, be it cost, time of tip release or number of bets. You can also add in other tipsters to your portfolio from those we recommend and make your own custom-build. The key point being to ensure that any tipster you do follow as part of this strategy is a genuinely profitable one. How can I find out more and get started? You can pick up a copy of the Racing Profit Maximiser the instant you join us at the Smart Betting Club. 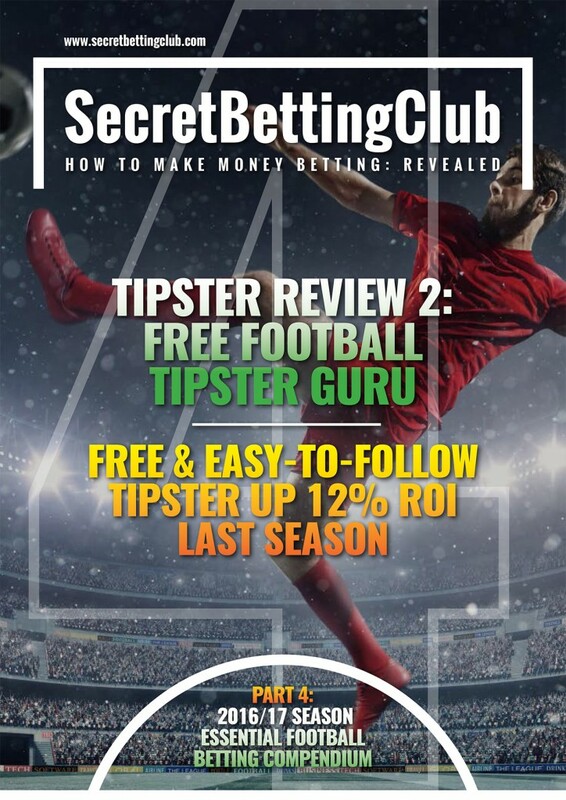 Through our independent and honest tipster ratings and reports, you can also find the very best betting tipsters to follow as part of this strategy. Hot off the press today at SBC we have just published our ground-breaking new report: The Racing Profits Maximiser – which features a unique racing strategy we know will change the way many of you bet. 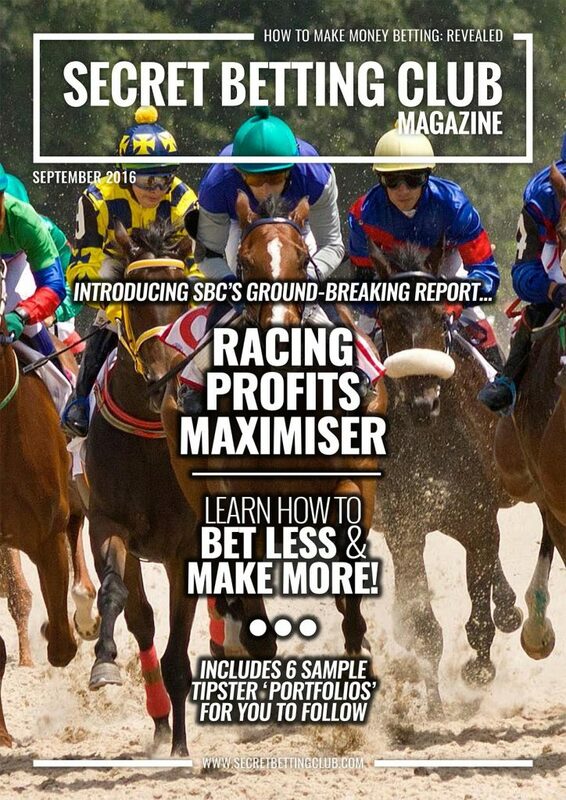 Based on analysis of over 52,000 tips from the past 3 years – the Racing Profit Maximiser is a strategy the SBC team have long used for our own personal betting…. And now for the first time ever we have dug into the stats to provide evidence of exactly why it works and how you can use it to improve your own racing profits! 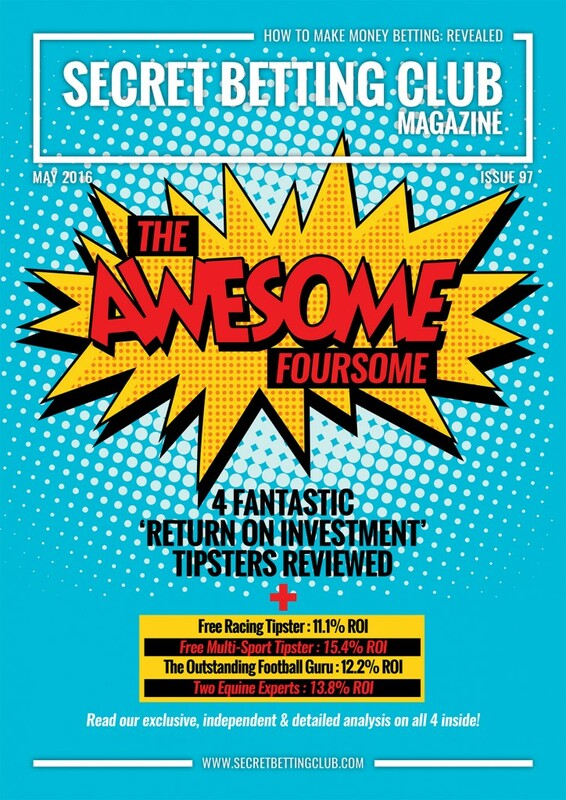 Sign-up now to gain instant access to the Racing Profits Maximiser (and our entire back catalogue) or read on for more details on this game-changing report! If you currently bet on Horse Racing then its safe to say the Racing Profits Maximiser will be a major game-changer for you. Not only will it help you understand how to make money betting on horse racing in the first place but also and most crucially of all – how to bet more efficiently by targeting the very best tips. After all, by knowing which bets provide the greatest profit – you can stake more on them and increase your overall betting profit. You can gain instant access to the Racing Profits Maximiser Report with a Smart Betting Club Membership, which comes with a cast-iron 90 day money back guarantee. Enabling you to sign-up and try out our service absolutely risk-free. Sign-up now for instant Smart Betting Club access.